Viewing Waikiki from Diamond Head, one of the inexpensive or free things to do on Oahu. There are many inexpensive and even free things to do on Oahu, Hawaii’s most populated island. In areas like downtown Honolulu or Waikiki there always seems to be something going on. It can be live music, concerts, light shows, markets or fairs. Nature lovers coming to Hawaii can also easily find something right up their alley. Oahu offers visitors the opportunity to enjoy many type of activities at very little or no cost. As a result, it makes it possible for you to enjoy an affordable vacation. Here are our favorite inexpensive or free things to do on Oahu. From shell designs, to carvings and kukui nut jewellery, visiting fairs is a great way to enjoy Hawaiian crafts. One free venue is the Waikiki ArtFest, which showcases local arts and crafts. It’s held on the last weekend of each month at Wakiki’s Kapiolani Park. Whether you admire paintings of sunsets or ancient Hawaiian crafts, we recommend exploring Hawaii’s art culture. Although we cannot guarantee that every museum will provide free entry, most of these art galleries do. Oahu’s beautiful state parks are usually free. For some trail ideas, here is a full list of Oahu State Parks and a description of the hiking grounds. 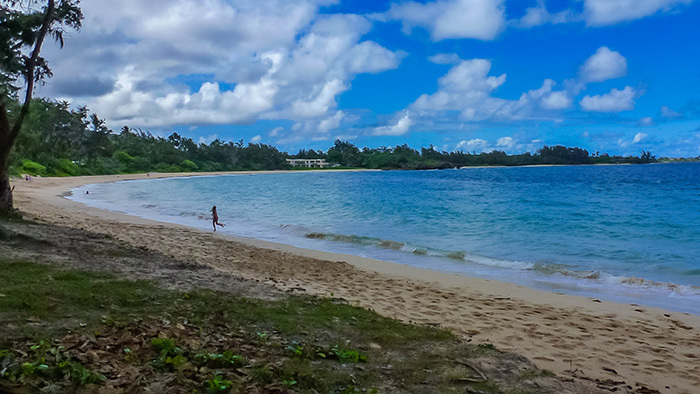 If you like panoramic vistas, then go to Kaiwi State Scenic Shoreline. Here, you’ll enjoy stunning coastal views from the Makapu’u Lighthouse. Going to one of its many beautiful State Parks is definitely among the best free things to do on Oahu. There is a firework show at the Hilton Hawaiian Village every Friday night. You can sit under the starry blazes and bursts of light. At the Sheraton Waikiki Hotel, a 3-D light show is projected over the pool water at its Helumoa Playground. These free magical shows are sure to make your Hawaii vacation an occasion to celebrate. 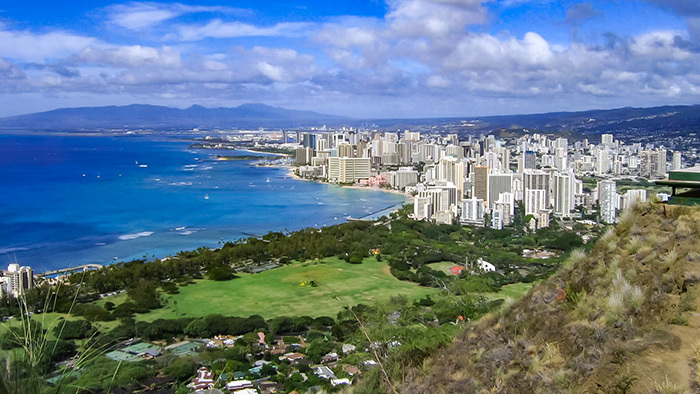 The Diamond Head hiking trail offers unparalleled views of Waikiki, the mountains and the coast. There’s a modest $5 parking fee or $1 entrance charge per person if you walk in. As the fees are quite reasonable, we thought this attraction is worth mentioning. Manoa Falls is another spectacular trail to tackle. Park just outside the park entrance to avoid a fee. Then set out for a 30-minute walk in deep forests before ending at one of Hawaii’s unique rock-face waterfalls. A secluded Windward Oahu beach. This is the most obvious way to enjoy Hawaii’s scenic views. And we would be remiss not to mention a few of Oahu’s greatest beaches. We favor Lanikai Beach in Kailua and Laniakea Beach on the North Shore. Here, green sea turtles often congregate. If you prefer to stay in town, visit Waikiki Beach. Then you’ll understand why there are so many songs and films about this famous shoreline. For swimmers and snorkelers, Hanauma Bay is one of the best places to admire marine life and reef fish. There is a small fee to enter Hanauma Bay. Will you be tempted to buy something or sample some of the delicious food? Probably. 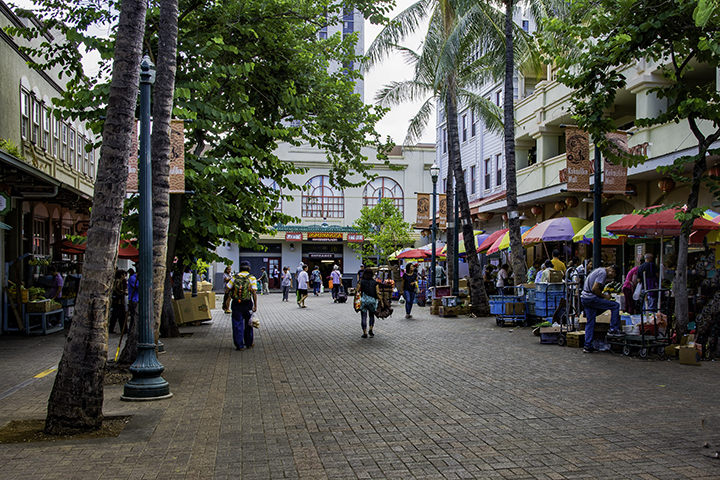 Walking through Chinatown in Honolulu will give you a sensory overload of exotic foods, unique crafts and friendly people. 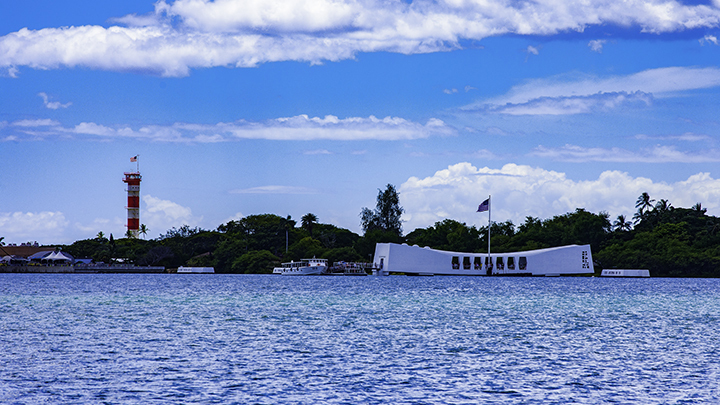 Find out why the USS Arizona Memorial is one of Hawaii’s most visited attractions. The Arizona Memorial is part of the multi-location World War II Valor in the Pacific National Monument. The memorial has exhibits covering Japan’s surprise attack on Pearl Harbor on December 7, 1941. There is also a free boat ride to the memorial itself. Here, the sunken battleship USS Arizona and the remains of nearly 2,ooo sailors and marines lie. You can visit the memorial from 8 am to 3 pm on most days. Visitors can get tickets for the free boat ride to USS Arizona on a first-come-first-serve basis. So it will be important for you to arrive early if you don’t want to wait for the later tours. However, there is a charge if you decide to visit the adjacent USS Bowfin Submarine Museum. If you are lucky enough to be in Honolulu during a festival, be sure to stop by. The Pan Pacific Festival celebrates Asian culture in June every year. The Aloha Festivals, which showcase Hawaiian culture and traditions, occur each September. Duke’s Ocean Fest features surfing, paddleboarding, swimming and other ocean sporting events. 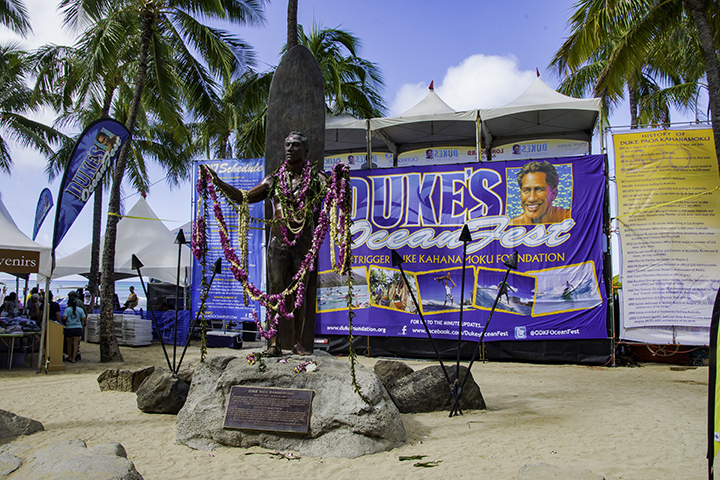 It honors Hawaii’s most famous waterman and Olympic champion, Duke Kahanomoku, each in August in Waikiki.